President Jacob Zuma’s defiant son Edward took his fight with Pravin Gordhan from open letters to a face-to-face confrontation when he and a group of his companions stood up and disrupted the axed finance minister’s speech in Pietermaritzburg on Friday night. 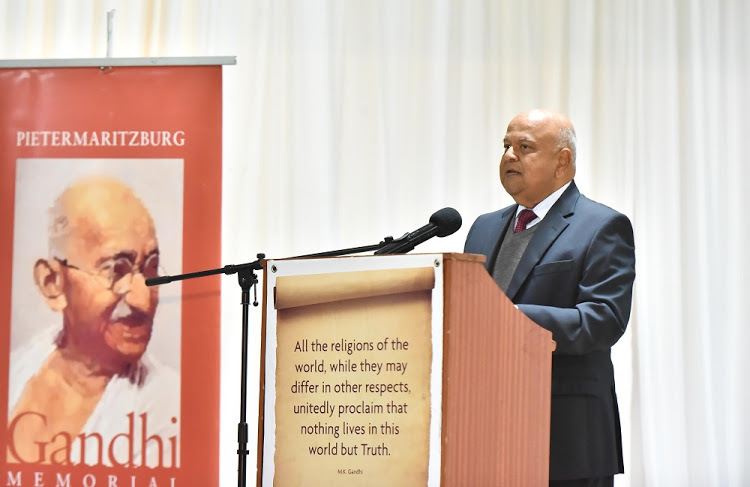 Gordhan was addressing the Gandhi Memorial Lecture in Pietermaritzburg on Friday when he was ambushed by Zuma in what appeared to be a carefully planned move. Zuma, who was dressed in a dark suit and a tie, shouted: “All what you are saying you are lying. Pravin, you are lying! You are lying, you are telling people lies…you sold the country to the white men in Stellenbosch. You sold the country, you sold the country. Tell people that you sold the country to Rupert, you sold this country to Rupert. You are lying, you are lying. You must come and meet me in Parliament. I will tell you the same thing. 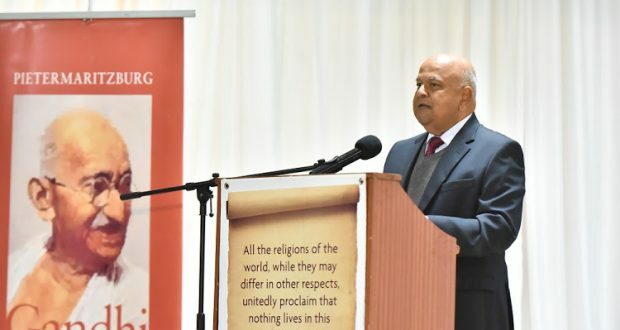 This tirade continued throughout a large portion ofGordhan’s speech – and all the his companions brandished and held yellow placards reading, among other things, “#Gordhan is a #WMC Puppet” and “Who has captured you Pravin???”. In a video clip – captured by an ANN 7 reporter – from the event, Zuma’s companions can be seen disrupting the event while police attempt to intervene. One of the guests at the lecture Riaz Ismail of Mountain Rise said he was disgusted by Zuma’s actions. “I respect him, he’s a state president’s son but tonight he did not behave like one and not like a responsible adult. I’m disgusted. Perhaps he had had a drink but even so you have to be civil and observe the event’s decorum. You may disrespect Mr Gordhan, but not an icon like Gandhi,” said Ismail.